Any cat owner will tell you that the act of petting a cat can bring about a feeling of calmness and well-being, but is there any science behind the idea that cats can lower your stress levels? In anticipation of Stress Awareness Day on November 7th, let’s dig into the facts about how cats lower your stress and help you relax. 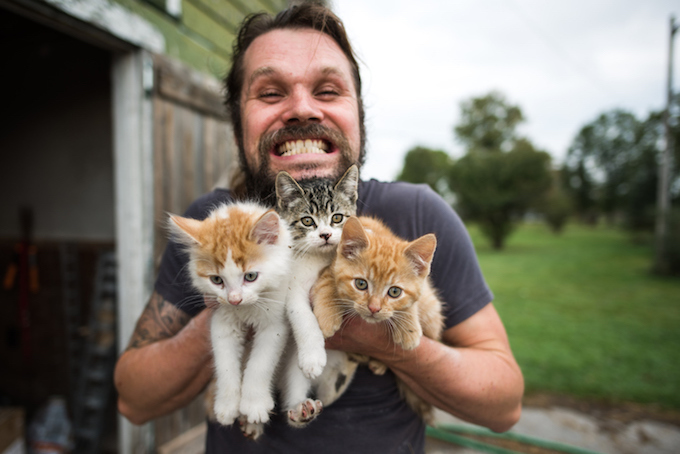 Do Cats Lower Your Stress Levels? 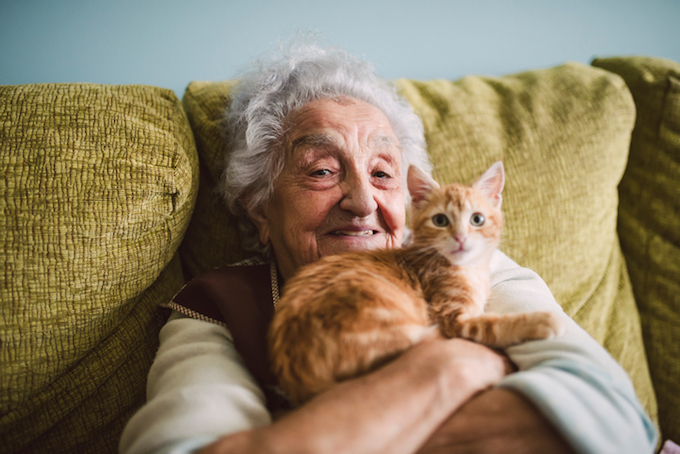 You might sound a little like a “crazy cat person” if you go around telling all your friends that adopting a feline will help lower their stress levels, but there’s legitimate studies that back up the claim. 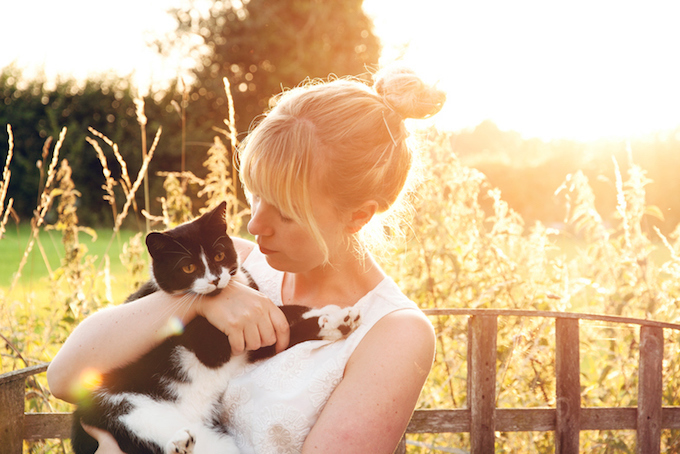 How Does Living With A Cat Reduce Stress? Basically, when you hang around with a cat, your body produces a chemical called serotonin, which can cause you to feel better about yourself and life in general. When you feel better about yourself and your life, you’re less stressed. This reduces the levels of your cortisol, a chemical in your body often caused by stress that can lead to hypertension. In simple terms, all you need to do is spend some quality time with your cat every day, and you should start to feel stress and tension reduce, and maybe even overall improvement in your health. 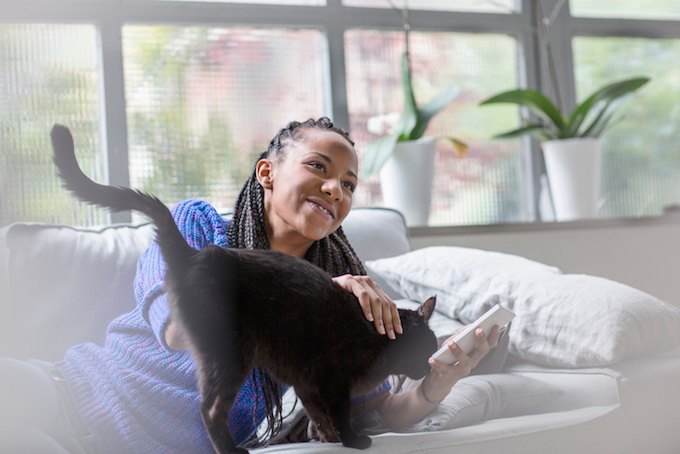 Whether you want to take the time to engage in an extended grooming session with your favorite feline, indulge her with some luxurious petting, or interact with her for a play session, the key thing is you’re getting close with your cat and receiving wellness benefits in return. Sounds like a smart deal, right? Does your kitty help you feel more relaxed? 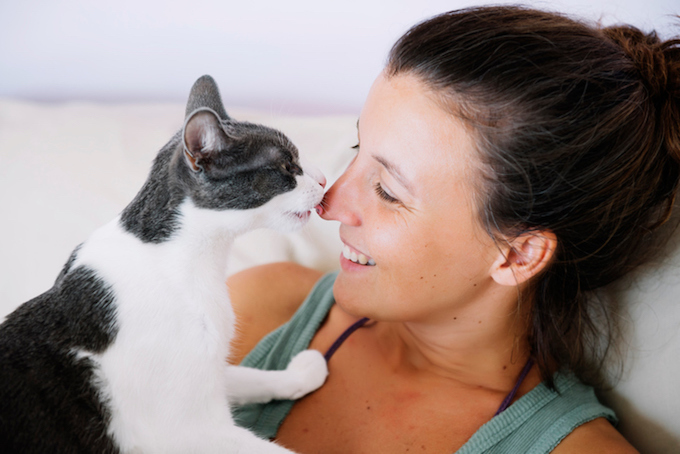 Are you going to spend time with your kitty on Stress Awareness Day? Let us know in the comments below!